3/20/2017–RALEIGH, NC–Raleigh Wake cadets continue their success in the Cyber Patriot program. For the fourth year in a row, the Raleigh Wake cadets have taken first place in the Cyber Patriot Platinum Division for High School teams in Civil Air Patrol. For the second year, they had a Middle School team that performed well also. The High School team placed first in North Carolina Wing in the Platinum Division which is for both overall rating over all competitors in 7 different categories and Civil Air Patrol. This allowed them to advance to the National Category Round Platinum Tier which is the National Semi Finals. At the Semi-Finals, Raleigh Wake placed sixth place overall in CAP nationally. Raleigh Wake had six cadets total competing on the high school team: five competitors and one alternate cadet. 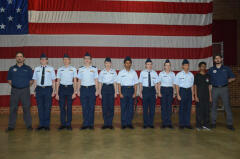 This was the second year that Raleigh Wake had cadets participate in the Middle School competition. 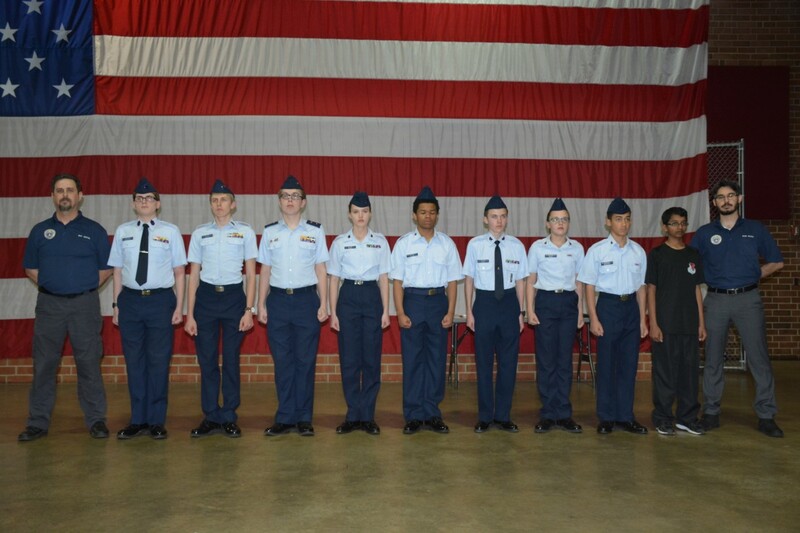 With only two cadets competing, the Middle School team placed fifth overall in North Carolina. This allowed them to advance to the Regional Round which is the National Semi-Finals. Captain Roy Vestal, the leader/mentor of the Raleigh Wake Cyber Patriot teams, stated that both teams performed extremely well and he is proud of all the cadets. He also stated how impressed and proud he is of how well the cadets on the middle school team performed. Especially when you consider that all the other middle school teams had five competing cadets and 1 alternate on their teams. Captain Vestal went on to say that these cadets and all the youths on the other teams that compete in the Cyber Patriot competition are America’s future cyber defense. The cadets that compete in the Cyber Patriot program work hard year-round learning what they need to know to compete in this competition. They spend many hours learning about code and how to write it, how to notice and intercept cyber-attacks and block them. We are very proud of these cadets and what they have accomplished.